You've spent your hard-earned cash on a brand new smartphone. Now it's time to put that money to work and turn your new acquisition into an entertainment powerhouse. The number of mobile entertainment apps out there is incomprehensibly large, and relatively few of them truly shine. Never fear: We've scoured the Web and found the best music, video, and gaming apps for your iPhone, BlackBerry, Windows Mobile, or Symbian smartphone. Most are free, but for some--as you'd expect with top-notch entertainment--a price tag is attached. With Last.fm, discovering new music has never been easier: Type in the name of an artist you like, and the app will recommend other artists based on your preferences. 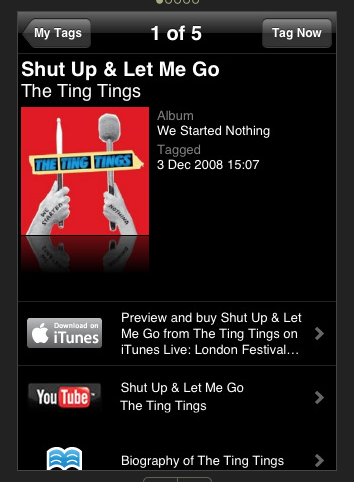 Last.fm, which is available for all major mobile OSs, also lets you share your musical tastes with other users. And best of all, you can listen to as much music as you want, for free. Ever find yourself humming along with a song on the radio, even though you have no idea who the artist is? This cool app comes to the rescue. Open the app, play the song you want to identify, and Shazam!--the name of the song and artist show up. No more late-night googling of song titles or stray lyrics. You can share your musical discoveries with your friends or with social networks; and if you have an iPhone, you can buy the song directly from iTunes. Place-shifted TV just moved from your laptop to your mobile phone. Now you can watch your favorite shows anywhere, live or recorded. Controlling your SlingBox and setting up recordings remotely have never been easier to do. And you can even catch up with the latest hit series over 3G (iPhone excluded; you must tune in over Wi-Fi). SlingPlayer Mobile doesn't come cheap, but for $30 you basically get TiVo on your phone--and that's a pretty compelling reason to buy it. If you see someone frenetically tapping away at their phone, they're probably playing Tap Tap Revenge 2. 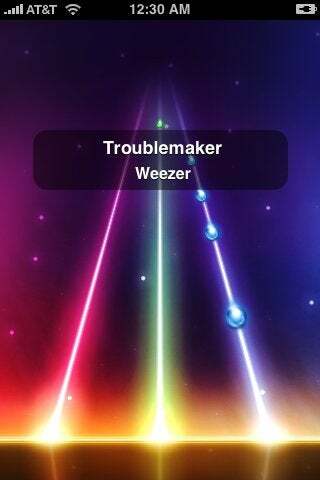 Among the most addictive iPhone games, Tapulous's TTR2 is like Guitar Hero Mobile, only with better graphics and effects. This free app comes with a download catalog of more than 150 free songs--or you can go pro and download additional songs. Coldplay, Weezer, and Nine Inch Nails versions are available for fans (for $4.99), while Tap Tap Thursdays bring you a free top artist track each week. Tap it! In the spirit of Last.fm and other music discovery apps, Pandora Mobile lets you listen to customized radio stations you create on the service's site. Pandora analyzes your musical tastes and then launches a streaming station where you can explore your favorite genre. Everything you create, rate, or bookmark on Pandora Mobile will appear the next time you return to the Web.